Converged infrastructure aims to take the guesswork out of implementing compatible technologies. These tips, news updates and features will steer you in the right direction when it comes to working with converged infrastructure. 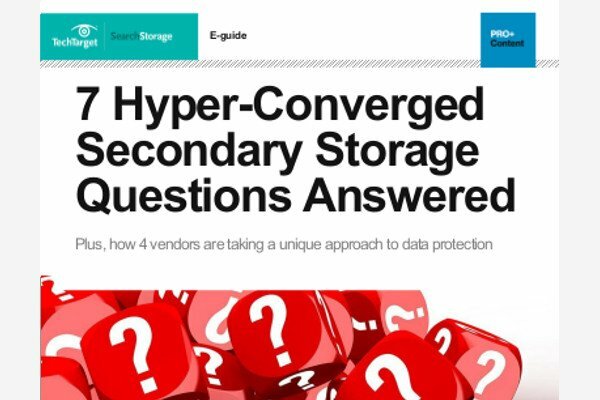 In this expert guide, receive answers to 7 fundamental questions, an analysis of Asigra, Cohesity, HPE and Rubrik hyper-converged secondary storage products, key benefits of converged secondary storage and cautions, and much more. Datrium approaches HCI in a nontraditional way, but its DVX architecture combines compute and storage while pumping up its data protection capabilities. IT leaders who have adopted a hyper-converged architecture say it streamlines costs and eliminates silos and finger-pointing, but also brings a fear of the unknown to their staffs. Converged and hyper-converged infrastructure is often built by one vendor. So, where's the corresponding vendor lock-in fear? Join us in our launch of SearchConvergedInfrastructure, a TechTarget site dedicated to providing IT professionals with news, tips and features on converged technologies.